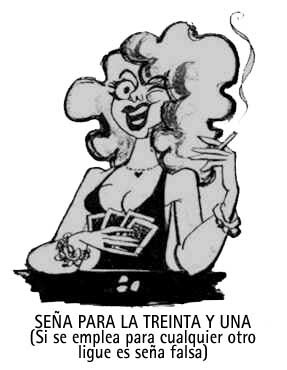 How to play this famous Spanish card game - in Spanish and English. The link is down the page. 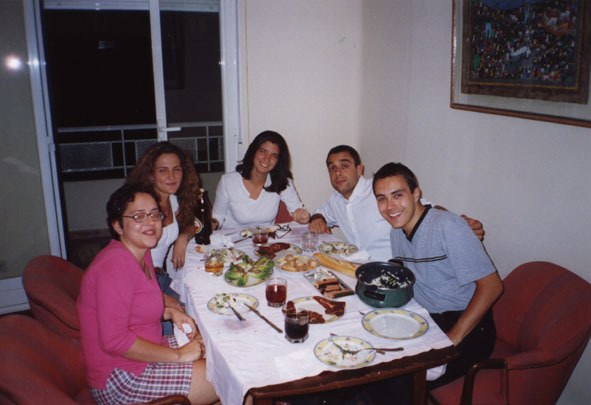 Every Thursday we met in a very nice flat in the Calle Alcalá to play Mus. 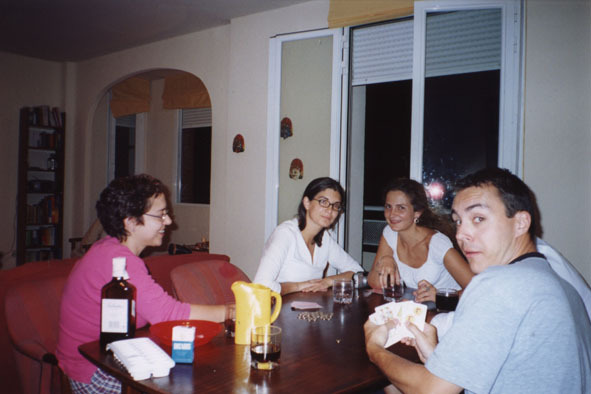 It's a game like poker: it's based on a bit on luck and a bit of being able to be tricky. Before playing Mus, you have to strengthen yourself with a magnificent dinner. Then you start to give out the cards. Of course you're not supposed to show them to somebody! But if they are soooooooo gooooooooood!!!! And after the game you have to wait long for the metro. 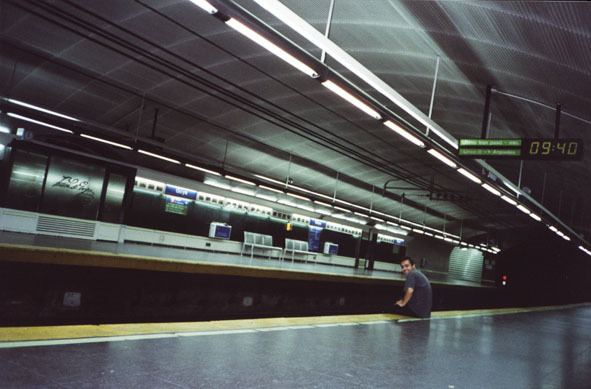 This is me, waiting in the metro station of Goya for the next train (the last one passed 9:40 minutes ago). (If you apply this for some another kind of flirt, it's a false sign)"
More about ambiguous "signals" in the description of the game.